Architectural preservationists and food nerds nationwide went nuts when Capitol Hill’s Melrose Market (Capitol Hill, 1501–1535 Melrose Ave.; melrosemarketseattle.com) opened earlier this year. The triangular block of a remodeled 1920s-era automotive shop won our hearts for giving local food purveyors an urban refuge amid old-growth-timber beams and exposed brick. 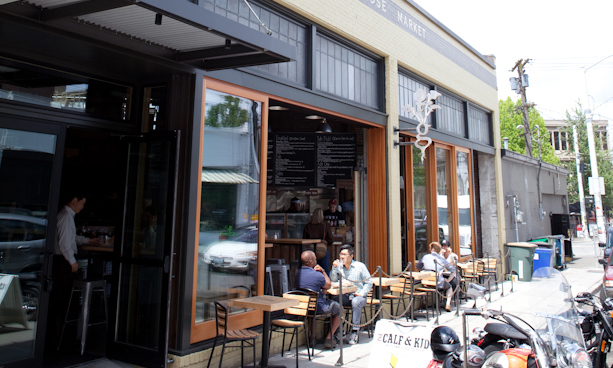 Home to farm-to-table favorites, including Matt Dillon’s Sitka & Spruce, local butcher shop Rain Shadow Meats, cheese boutique The Calf & Kid and others, the market is breathing new culinary life into the area. From its beginnings as a lodging house for male immigrants to becoming a jazz venue that was the stage for African-American performers such as Jimi Hendrix, the Central District’s Washington Hall (153 14th Ave.; 206.622.6952; washingtonhall.org) has become an institution in and of itself. Lucky for us, the space will continue to live on as a community performance hall, thanks to an ambitious first-phase renovation completed this summer by local nonprofit Historic Seattle. If the walls of the 1908 property could talk, we have a feeling they’d be singing. Don’t know what to do with all those leftover apples from the garden? Here’s an idea: Sell them. In August the City of Seattle won major points among green thumbs for passing an ordinance to expand the purview of urban farmers. Part of a national movement to bring food production back to cities, the new rules pave the way for more urban farms, taller greenhouses, more chickens per property and the selling of homegrown produce. Power to the people!